Reports of possible cabin air contamination onboard aircraft on commercial flights have become increasingly common in recent years. Such incidents are often described as fume events. Most often, fume events describe abnormal odors, smoke, haze or fumes in the cabin which may arise from various internal or external sources in an aircraft. More specifically, the term “fume event” is used to refer to a potentially toxic environment created by contaminated bleed air used to pressurize and ventilate aircraft cockpit and cabins. However, bleed air contamination is not the only cause of fume events or medical symptoms among passengers and crew onboard commercial aircraft. Reduced oxygen levels, ozone, de-icing fluids, insecticides, fuel vapor, and fumes from ground service vehicles or other aircraft may also be responsible (1). Concerns have repeatedly been raised about the possible adverse health effects of exposure to contaminants in cabin air. Although known for decades, air quality incidents continue to represent potential safety hazards for passengers and crew on commercial flights. Reports of suspected fume events often reach the news media. In October 2016, British Airways flight BA286 from San Francisco to London was diverted to Vancouver after members of the crew became unwell, the airline said on Tuesday. Michele Kropf, a spokeswoman for British Airways, said 25 crew members were taken to local hospitals as a precaution, but had now been discharged. There were 22 cabin crew and three pilots on board the plane. But on Wednesday morning ABC News obtained a recording of the conversation between the pilot and Air Traffic Control. “Can you say again the emergency for me please?” the controller asked. BA did not comment on the cause of the problem (2). In 2017 an American Airlines Airbus A319-100, registration N829AW performing flight AA-1927 from Charlotte, NC to Raleigh/Durham,NC (USA), was enroute when a foul odour developed on board causing a number of passengers to suffer from nausea and headache. The aircraft continued to Raleigh for a safe landing and taxied to the gate, where the passengers disembarked normally. A number of passengers received medical attention at the airport (3). Not all odors detected within an aircraft cabin arise from oil contamination of the air supply. For example, they can originate from toilets and galley areas. How often air quality incidents occur is difficult to determine. Furthermore, the nature of contaminants within the cabin air is usually unclear as commercial aircraft do not have air quality monitoring systems on board. The immediate health effects of exposure to contaminated cabin cair have been relatively well documented. However, the causation, diagnosis, and treatment of long-term effects continue to be debated. 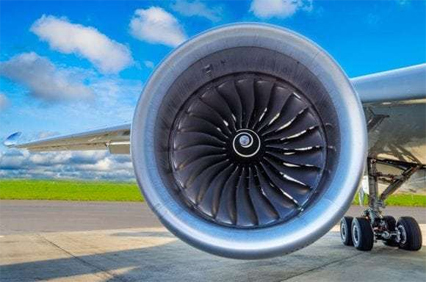 For decades, aircraft have used engine bleed air for a variety of purposes, spanning everything from engine starting to cabin pressurization and anti-icing. When air enters the flight engine, it goes through several compressors, increasing the air temperature and pressure before mixing it with fuel and igniting it. A portion of the compressed air does not enter the combustion chamber but is redirected from the engine to various other parts of the aircraft. This so-called bleed air is very hot, between 200 to 250 degrees C, and very high in pressure, around 40 psi (4). After leaving the engine and passing through the ­air-conditioning pack, where it is cooled, the bleed air is combined with recirculated cabin air before it enters the cabin. Temperature controllers in the flight deck and cabin allow adjustment of the target temperature and thermostats provide feedback to the packs to demand an increase or decrease in the output temperature (5). On most commercial aircraft, engine bleed air is used to provide ­appropriate cabin pressurization and air ­conditioning. In early commercial jet aircraft, passenger cabins were ventilated with 100% outside air. In more recent jet aircraft, approximately 50% of the ventilation air is outside air, and the remaining 50% is filtered recirculated cabin air. With the introduction of the B787, Boeing has incorporated a new no-bleed systems architecture. Most of the functions formerly powered by bleed air have been replaced by electrically driven compressors. Bleed air is a heterogeneous mixture of constituents that may include gases, vapors, smoke, fumes, and mist, each of which is potentially associated with risk of adverse health effects following exposure (1). Under certain failure conditions, toxicants such as pyrolyzed engine oils and hydraulic fluids may leak into the cabin air supply systems. Several factors may contribute; oil seals that otherwise separate the “wet side” of the air compressor from the “dry side” can leak or fail and workers may overfill the oil/hydraulic fluid reservoirs or may spill oil/hydraulic fluid when filling the reservoir (6). The airborne toxicants form a complex mixture, including 1-5% tricresylphosphates (TCPs) and N-phenyl-L-naphthylamine (PAN). If the air supply system temperature is high enough, engine oil and hydraulic fluid may also generate carbon monoxide (CO). Tributyl phosphate (TBP), a constituent of hydraulic fluid may also be of health concern. Specific concerns have been raised regarding so-called tricresylphosphates (TCPs) in the cabin air environment and their perceived effects on health. TCPs are added to most synthetic jet engine oils due to their anti-wear properties. Although TCP additives are not the only toxic component of jet engine oils, they have repeatedly become a major source of debate. Small amounts of TCPs have been found in cabin air under normal operating conditions on commercial flights (7). Interestingly, TCP concentrations do not correlate with visible smoke/fume or odor detection (6). Ten TCP molecules containing different combinations of the meta, ortho and para isomers, have been described. Jet engine oils contain a mixture of these molecules. These toxic mixtures can cause transitory and permanent damage to the nervous system when swallowed in sufficient quantity (8). It is believed that the neurotoxicity of TCP is mainly due to its ortho isomers, such as tri-ortho-cresyl phosphate (TOCP). In 1990, the World Health Organisation (WHO) stated that “Because of considerable variation among individuals in sensitivity to TOCP, it is not possible to establish a safe level of exposure” and “TOCP are therefore considered major hazards to human health (9). Although it is claimed that the para and meta isomers are not known to be toxic to humans(8), a recent article suggests that the widespread belief that only ortho isomers of TCP are dangerous is invalid (10). A recent study suggests that the combined neurotoxicity measured on a cellular level is similar for the different TCPs. However, the clinical implications of the study are uncertain as the TCP concentrations used are well above current exposure levels in cabin air indicating limited neurotoxic health risk (11). The reported concentration of TCP used in most aircraft engine oils is less than 3%, of which the ortho isomers constitute less than 0.2% of the total TCP. This results in an overall concentration of ortho isomers of less than 0.006% of the total engine oil (8). There have been no publicly available sampling data collected during a bleed air contamination event on commercial aircraft. However, wipe sampling data has identified TCPs on aircraft cabin and flight deck walls (6). On the other hand, it has been pointed out that the presence of TCP is widespread and will even be found in wipe samples taken in buildings and other public places (8,12). A study from 2013 investigated a total of 332 urine samples of pilots and cabin crew members in conventional passenger aircraft, who reported fume/ odor during their last flight. None of the samples contained the ortho isomers of TCP above the limit of detection (LOD). The authors concluded that health complaints reported by aircrews could hardly be addressed to exposure to the ortho isomers of TCP in cabin air (13). The aviation industry claim that engine oil does not contain sufficient quantities of TCPs to cause long-term damage (14). TurboNycoil 600 oil is developed by a French company named NYCO. It is now used by many military agencies worldwide and its use on commercial engines is growing. Unlike most other oils, it does not contain TCP at any measurable quantity (15). Bleed air is cooled but not cleaned (ie, filtered) before being mixed with recirculated cabin air (1). However, recirculated air is cleaned using high-energy particulate air (HEPA) filtration. HEPA filters are designed to capture particles but not gases and vapors, which pass directly through the filter. Aerosols collected via HEPA filtration include dust, fibers, bacterial cells, fungal spores, and pollen grains As viruses are among the smallest of microorganisms, ranging in size from 0 02 to 0 3 μm in diameter, they are too small to be captured by HEPA filters (1). How Often Do Air Quality Events Occur? When it comes to air quality events, there is no standardized incident reporting system in use for either passengers or crew. Hence, the frequency of fume events may be difficult to determine. According to several data obtained from three US airlines, frequency estimates of bleed air contamination events range from 0.09 to 3.88 incidents per 1,000 flight cycles. Using the lowest estimate of 0.09 events per 1,000 flight cycles, there may be an average of two to three contaminated bleed-air events every day (6). In 2007, the United Kingdom Committee on Toxicity (COT) undertook an independent scientific review of data submitted by the British Airline Pilots Association (BALPA) relating to concerns of its members about the possible health effects from oil fume contamination on commercial jet aircraft. The COT estimated that cabin air quality events occur on roughly 0.05% of flights (~1 in 2000)(8). The Allied Pilots Association (APA), which represents American’s pilots, has cited as many as 20,000 fume incidents over the past decade, or about five per day (16). A study published 2016 found that the contamination events were widely distributed across nearly all common models of aircraft (17). The Allied Pilots Association (APA) has cited as many as 20,000 fume incidents over the past decade or about five per day. The lack of a standardized protocol for the medical investigation of crew and passengers following air quality incidents means that consistent data is difficult to obtain. The most common adverse effects reported following air quality events area acute respiratory symptoms and neurological symptoms. Psychiatric symptoms appear to be fairly common as well. Among the symptoms reported are upper airway breathing problems (shortness of breath, wheezing, eyes, nose or throat irritation), performance decrement, tremor, memory impairment, headache, vision problems, nausea, fatigue, exhaustion, confusion, disorientation, anxiety, sleep disturbance, depression, chest pain, palpitations, and dizziness (6,10). Individual susceptibility to damage by TCP exposure appears to be highly variable which may help explain why not all aircrew appear to be equally affected by fume events (10). There is abundant evidence of the continuous leakage of lubricating oil and hydraulic fluid into aircraft cabin air at all times (18). However, when analyzed in cabin air, the concentration of toxic substances has in most cases been too low to raise any health concerns. Although the acute health effects of air quality events have been fairly well described, the impact of chronic, continual, low-dose exposure is still a matter of debate. Repeated exposure could explain the apparent differential vulnerability often described between aircrew and passengers. In most cases of air quality events, symptoms improve and resolve within a few weeks. However, in some instances, such events appear to result in chronic adverse health effects. Some airline workers may even have recurrent symptoms on return to work due to re-exposure to contaminants in the aircraft environment (6). Respiratory symptoms appear to be the most common initial symptoms following air quality incidents. Although they often resolve quickly, irritant-Induced asthma may persist for more than 3 months following the exposure episode (6). Neurological and psychiatric symptoms may in some cases be more persistent. These include headaches, confusion, loss of balance, lightheadedness, muscle weakness, movement disorders, numbness, paraesthesias, cognitive dysfunction, post-traumatic stress disorder (PTSD), emotional lability, depression, sleep and anxiety disorders (6). Other long-term effects include persistent gastrointestinal problems, increased sensitivity to chemicals, myalgias, arthralgias, palpitations, and unusual fatigue (6). Aerotoxic syndrome is a phrase coined by Chris Winder and Jean-Christophe Balouet in 2000, to describe their claims of short- and long-term ill-health effects caused by contaminated cabin air (19). Although not well defined, the syndrome is supposed to cover most of the symptoms mentioned above associated with severe air quality events or repeated exposure to cabin air contaminants. British ex-pilot John Hoyte founded the Aertotoxic Association in 2007. Hoyte is also an author of a book called “Aerotoxic Syndrome: Aviation’s Darkest Secret” published in 2014 (20). The Aerotoxic Association’s primary role is to support aircrew and passengers whose short and long-term health have been affected by toxic oil fume exposure in the confined space of commercial jets and inform the public of the harm associated with poor aircraft cabin air quality and the causative link to aerotoxic syndrome (21). Bearnairdine Beaumont is an author of a book called “The Air I Breathe – It’s Classified: A True Story and Top Guide to the Aerotoxic Syndrome Phenomena Experienced by Aircrew and Passengers“. In the book, Beaumont highlights the dangers, toxicity and neurotoxic properties of compounds contained in jet engine oils. The Aerospace Medical Association has reviewed the available scientific evidence and concluded that there insufficient consistency and objectivity to support the establishment of a clearly defined syndrome. The US National Academy of Sciences performed a similar review and reached the same conclusion, as did the Australian Government CASA Expert Panel on Aircraft Air Quality in 2012. Thus, the concept of the “Aerotoxic Syndrome” as a well defined entity is not recognized by the aviation medicine community (8). In some cases, symptoms attributed to air quality incidents may be caused by hyperventilation. Hyperventilation, sometimes called over breathing, is breathing in excess of what the body needs. Hyperventilation may be a normal response to emotional stress. The triggers for hyperventilation may be of physical, mental, emotional or environmental nature. In the aviation environment, it is recognized that hyperventilation is a common condition. Paresthesia (“pins and needles” – tickling, tingling, burning, pricking, or numbness) especially in the extremities. There is an overlap between the wide range of symptoms attributed to contamination of cabin air and those caused by hyperventilation. Hyperventilation may also be triggered by an air quality incident. However, it would be nonsensical to suggest that hyperventilation may explain all cases of suspected air quality events. The nocebo effect describes an illness, often with physical symptoms and signs, which is triggered through psychological processes in response to a perceived harmful exposure. The phenomenon is analogous to a placebo effect in which symptoms improve in response to a perceived beneficial exposure (22). Hence, awareness of irritation or an odor on board may trigger a psychologically mediated nocebo effect. Such a response may also be triggered by observing other flight personnel or passengers feeling unwell or experiencing symptoms possibly attributed to air quality issues. Reports of possible cabin air contamination onboard aircraft on commercial flights have become increasingly common in recent years. Such incidents are often described as fume events or air quality incidents. It is estimated that upto five such events occur every day in the United States. Contamination of bleed air used to pressurize and ventilate aircraft cockpit and cabins may be responsible for air quality incidents. Under certain failure conditions, toxicants such as pyrolyzed engine oils and hydraulic fluids may leak into the cabin air supply systems. Specific concerns have been raised regarding so-called tricresylphosphates (TCPs) in the cabin air environment and their perceived effects on health. TCPs are added to most synthetic jet engine oils due to their anti-wear properties. Although the acute health effects of air quality events have been fairly well described, the impact of chronic, continual, low-dose exposure is still a matter of debate. In some cases, symptoms attributed to air quality incidents may be caused by hyperventilation or a nocebo effect. In most cases, symptoms improve and resolve within a few weeks. However, in some instances, air quality events appear to result in chronic adverse health effects. Some airline workers may even have recurrent symptoms on return to work due to re-exposure to contaminants in the aircraft environment. Respiratory symptoms appear to be the most common initial symptoms following air quality incidents. Neurological and psychiatric symptoms may in some cases be more persistent. These include headaches, confusion, loss of balance, lightheadedness, muscle weakness, movement disorders, numbness, paraesthesias, cognitive dysfunction, post-traumatic stress disorder (PTSD), emotional lability, depression, sleep and anxiety disorders. The phrase “aerotoxic syndrome” is often used to describe the short- and long-term ill-health effects caused by contaminated cabin air. Although known for decades, air quality incidents continue to represent potential safety hazards for passengers and crew on commercial flights.